At Kirkland Jewelry, we understand that financing options are important. 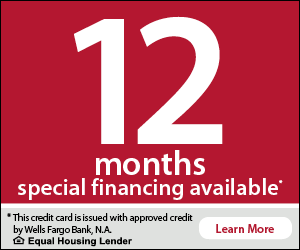 In addition to accepting major credit cards, we also offer financing through Wells Fargo. 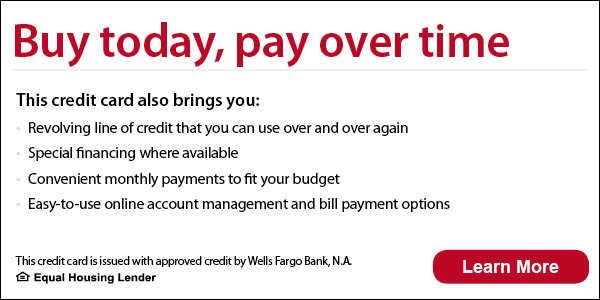 Once you've applied and if approved for a credit card with Wells Fargo Bank, N.A., your line of credit is ready to use right away to charge goods and services to your credit card account. Stop in today or call for details.